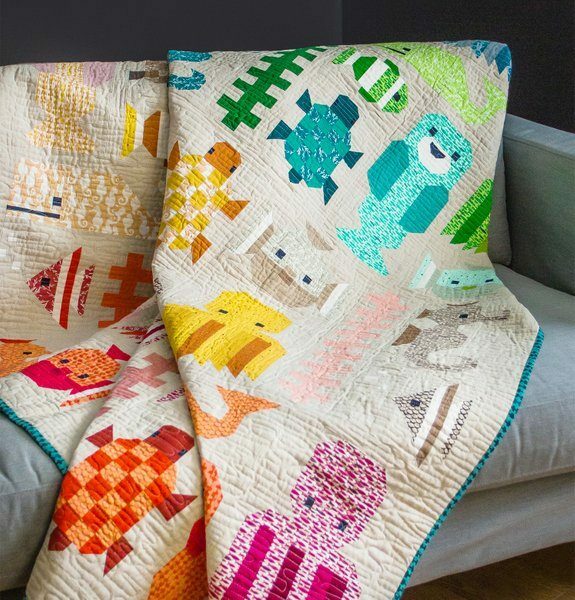 The Awesome Ocean quilt by Elizabeth Hartman includes various aquatic character blocks, including Salty Seahorse, Octavian, Angelica, Tony the Turtle, Chuckles, Puffy, Mr. Manatee, Kelp, and Preppy the Whale. 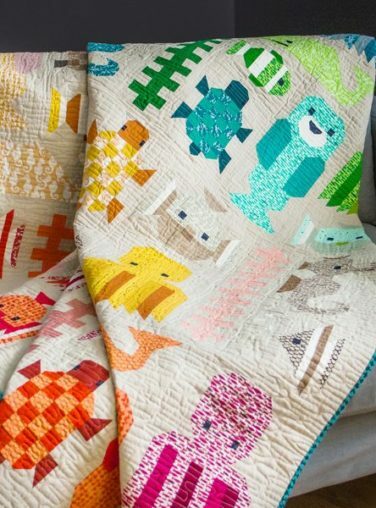 The blocks are sewn with simple straight and diagonal seams and there is no paper piecing! 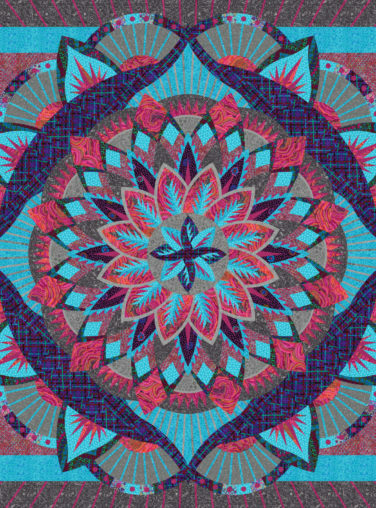 Featuring fabrics from Hartman’s Reef collection for Robert Kaufman Fabrics. Finished quilt size is 71″ x 83″. 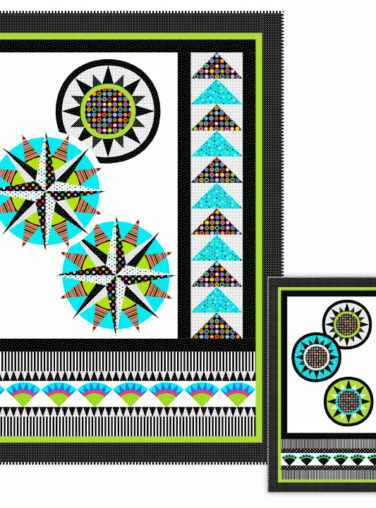 You will need 5 1/4 yards of backing fabric.